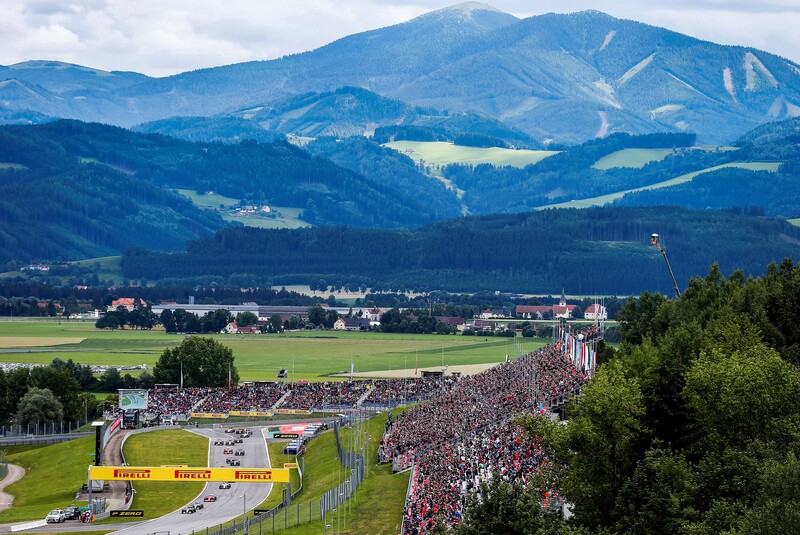 As it is, the Red Bull Ring is quite forgiving. Not too many cars were damaged during a variety of incidents during the three days, even though it was what the drivers called ‘old school.’ It is the third shortest circuit in terms of distance – just – and the shortest in the championship in terms of lap time but that seems to promote very interesting racing and it produces a very challenging circuit. So how we enjoyed watching the drivers trying to tame this tricky circuit. 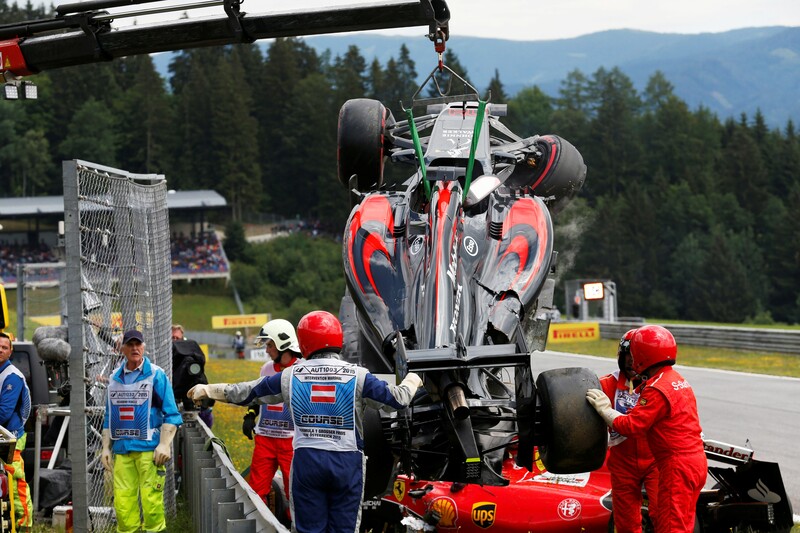 They were running wide here and there and so it continued into the race, not the least with the second corner incident with Kimi Raikkonen’s Ferrari underneath Fernando Alonso’s McLaren. The Spaniard’s team maintains that Raikkonen lost control; the stewards felt that no driver was at fault and no penalty was applied. That no one was hurt was fortunate; it was a near miss for Formula One again and we should be thankful. 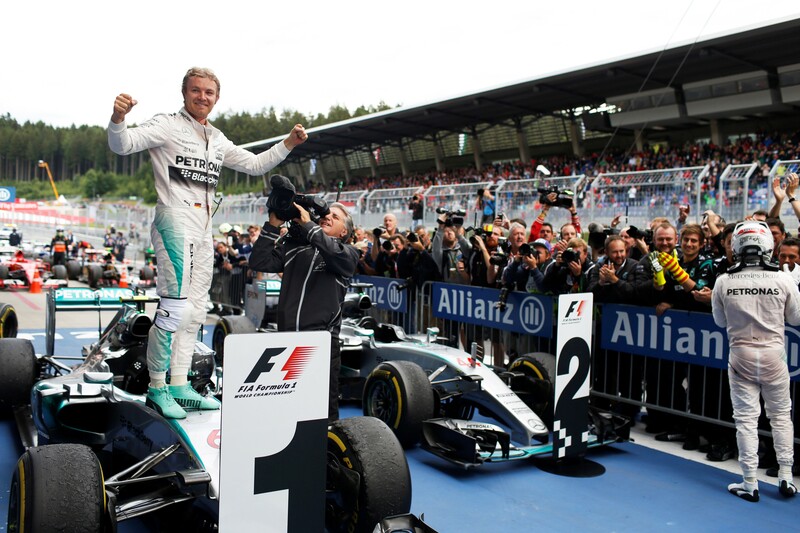 As Nico Rosberg pointed out, incidents like that are to be learned from. It was unfortunate that Lewis couldn’t find an opinion about what could be learned from such an incident. Rosberg utterly deserved this victory; he was on top of his teammate all weekend, even when he made the mistake at the end of qualifying which cost him pole position. But a demon start corrected that and he never looked back. He didn’t even need the five second penalty Lewis earned for crossing the pit exit line – which he later denied. Film evidence decreed otherwise. Once again, Williams and Ferrari squabbled over the final podium place with Ferrari providing adept at shooting themselves in the foot. Having condemned Raikkonen to a lowly grid position and his subsequent accident with former teammate Alonso, they cost teammate Vettel the final podium position with a wheel problem at their only pit stop. For the third race out of the eight so far, Williams found themselves fighting a rearguard action to keep a Ferrari behind them, although it wasn’t quite as tight for Felipe Massa as it has been for Valtteri Bottas elsewhere. It was a defensive race rather than an attacking one for Williams but they keep racking up points and cut the deficit to Ferrari by 13 points. There were reasonable performances from Hulkenberg at Force India and Maldonado at Lotus who continues to entertain, and even Nasr at Sauber who should have been rewarded, but Red Bull Racing at their home Grand Prix were sadly not in the hunt; only one of their four really looked remotely competitive, with Max Verstappen picking up eighth. They’re going to have a miserable time for the rest of the season, picking up penalties on a regular occasions as they’ve already exceeded the number of power unit elements available, but that’s nothing compared to McLaren’s performance. 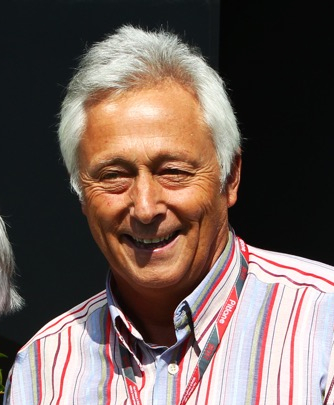 People are beginning to run out of patience with the McLaren-Honda combo; they had a head start without having to run an engine in the previous formula and yet approaching half distance in the championship, they don’t even look like finishing races. If anything, things are getting worse, not better and the penalties are going to keep coming there, too. As predicted, there were quite a few retirements and a slightly unexpected result but one that showed that thankfully, this sport isn’t predictable. It wasn’t a great Grand Prix but it had its moments, that’s for sure.